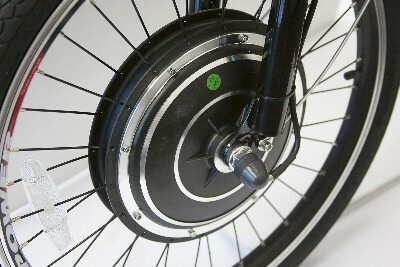 EWheels Electric Trike (3 wheel bike) is shipped fully assembled. 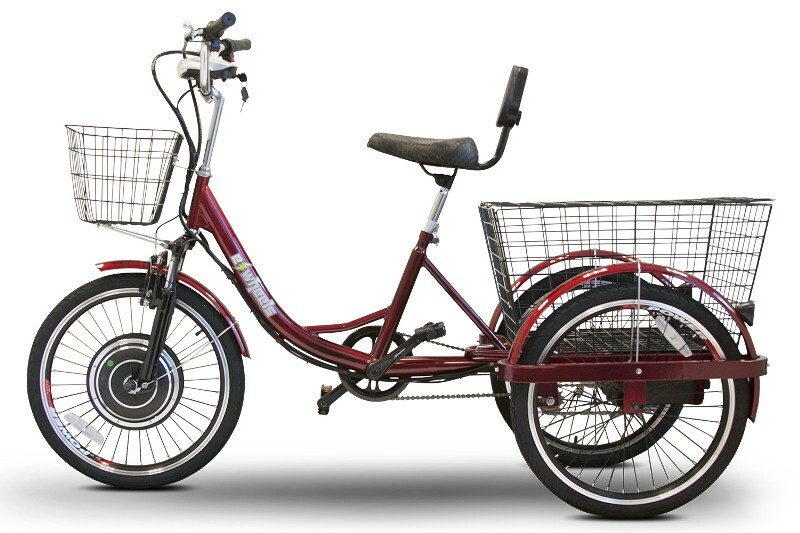 The new EWheels Electric Trike can easily be operated as a regular trike by just pedaling, or as an electric trike with 100% electric power by just twisting the hand throttle. 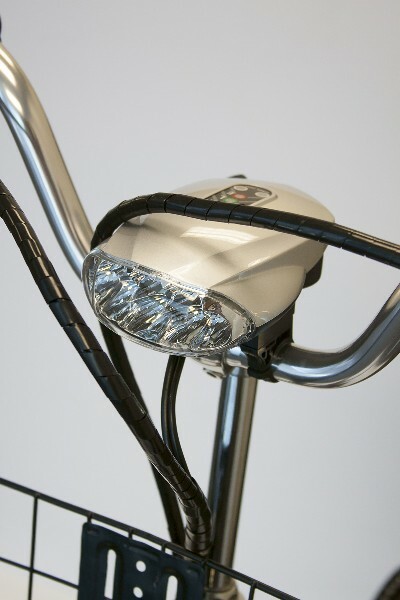 You can even combine pedaling and electric power at the same time. 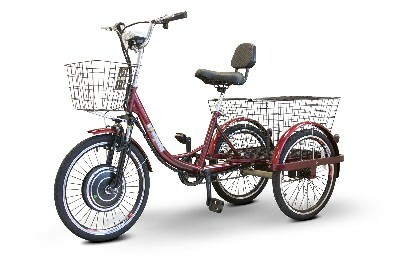 This well balanced trike can reach speeds up to 15 mph and travel up to 20 miles on a single charge. 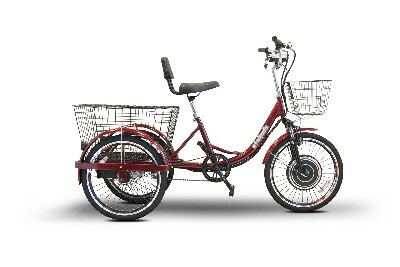 Excellent design with large front and rear baskets. 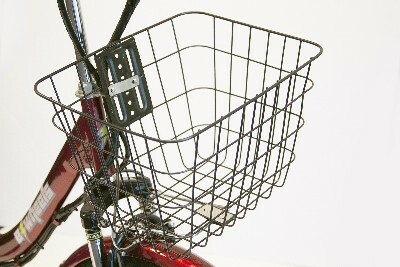 Highly padded seat with backrest. 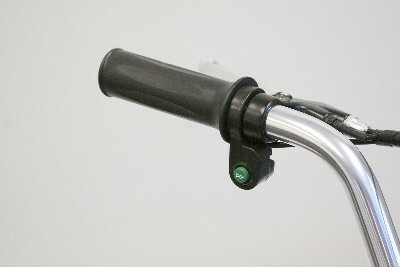 Smooth front and rear hand brakes. 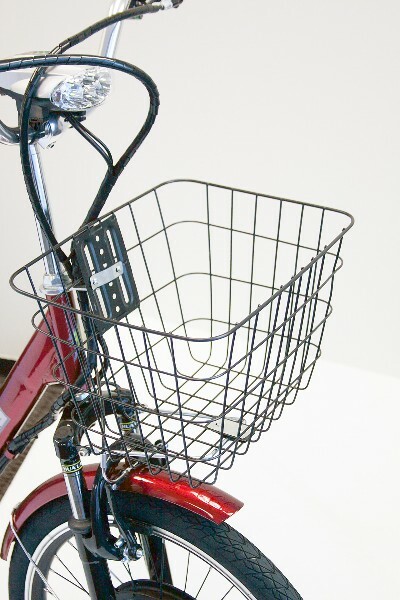 Heavy duty large front basket. 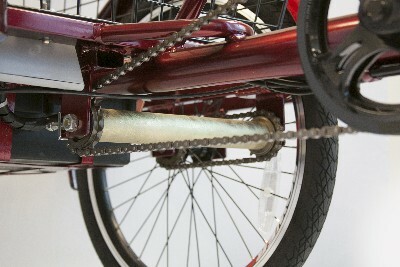 Drive chain with clutch allows a user to choose to help the motor by peddling or just go along for the ride with no effort at all. 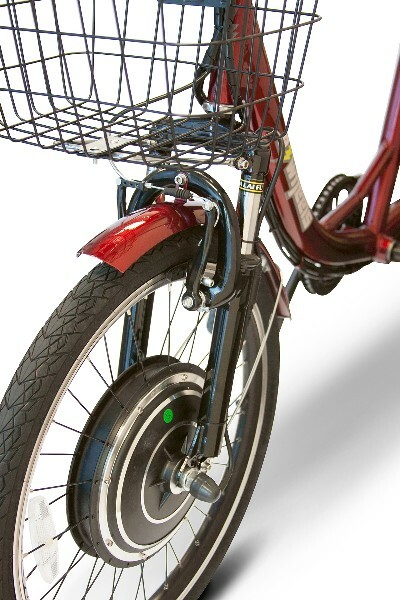 Tensioning spring ensures a tight chain at all times. 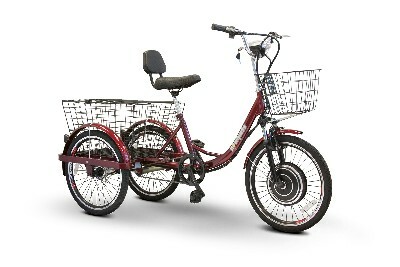 Extreemly large rear basket that will accommodate most anything. 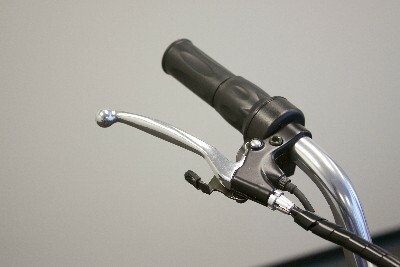 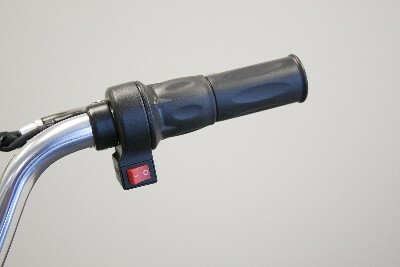 DThe EW-29 is great for all able bodied people of all ages.